NEW YORK — Oakland’s Bob Melvin was voted Manager of the Year for the third time, winning the American League honor after leading the Athletics to the playoffs despite the lowest opening-day payroll in the major leagues. Atlanta’s Brian Snitker won the National League award for leading the Braves to a surprising first-place finish. Melvin received 18 first-place votes, 19 seconds and one third for 121 points from the Baseball Writers’ Association of America in balloting announced Tuesday. He is the eighth manager to win three or more times and is one shy of the record shared by Bobby Cox and Tony La Russa. Melvin won with Oakland in 2012 and took the NL honor with Arizona in 2007. His A’s went 97-65 after starting the season with a $68.6 million payroll. They lost to the New York Yankees in the AL wild card game. Boston’s Alex Cora was second with seven firsts and 79 points, followed by Tampa Bay’s Kevin Cash with five firsts and 57 points. Snitker received 17 firsts, nine seconds and one third for 116 points, the only manager picked on every NL ballot. 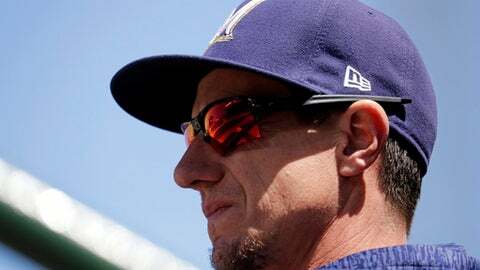 Milwaukee’s Craig Counsell was second with 11 firsts and 99 points. Colorado’s Bud Black was third with 41 points. A 63-year-old baseball lifer who played in Atlanta’s minor league system from 1977-80, Snitker has spent 42 seasons with the Braves, managing at every level and serving as the big league third base coach from 2007-13. He was managing at Triple-A Gwinnett when took over Atlanta in May 2016 after Fredi Gonzalez was fired for a 9-28 start. The Braves went 59-65 during the rest of the season, and Snitker was given the job full-time. Atlanta went 72-90, and then improved to 90-72 this year, when the Braves lost to the Los Angeles Dodgers in a four-game Division Series.